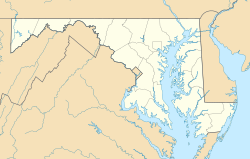 Woodstock is an unincorporated community which is a suburb of Baltimore, Maryland. The original village of Woodstock is located in Howard County, and also includes portions of Baltimore County and Carroll County. Thomas Browne, the "Texas Ranger" explored westward through Anne Arundel county through Clarksville and settled in the area in 1702. The Mt. Pleasant Log home was built by the Brown family in the 18th century. A century later in the civil war, confederate general Bradley Tyler Johnson used Mt. Pleasant to store weapons, dispatch messages and hide from Union troops. Woodstock was founded as a mining town based around its Granite quarries. The B&O railroad ran through the area with a station built in 1835 for granite deliveries. The postal community was named "Davis Tavern" when its first post office opened in 1836. Caleb Davis and Peter Gorman were early B&O contractors. Gorman married Elizabeth Browne of the Brown family, occupied a large farm "Good Fellowship", sold Granite for buildings and built a large granite house in town. The granite house was the birthplace of Arthur Pue Gorman, which was torn down to build a bridge across the Patapsco in the early 1980s. In 1869, the Jesuit Woodcock College opened on the Baltimore side of the Patapsco River. St, Alphonsus Rodriguez church was built on a section of the institute in 1887–1968 when it was lost to fire. In 1889, telegraph service was extended to town. As of 2010, Woodstock's population is 6,986. The population growth rate is 31.51%. According to Sperling's BestPlaces, Woodstock's cost of living is 49.9% higher than the U.S. average, and the median cost per home in Woodstock is $422,290 with a growth appreciation rate of -7.19%. Public schools in the area spend $6,343 per student, $665 more than the U.S. median. There is an average of 14.9 students per teacher. Woodmont Academy opened in Woodstock in 1995. The post office for the 21163 ZIP code is in Woodstock, Howard County, but the ZIP code covers, and the post office serves, residents of both counties. The post office also serves the 21104 ZIP code, which is similarly split between Howard and Carroll Counties. Per the official USPS address database, mail destined for ZIP code 21163 can use either "Woodstock" or "Granite" as the city: while "Woodstock" is the default, "Granite" is acceptable. Woodstock College was in Baltimore County. The Chinese Bible Church of Howard County is in Granite, Baltimore County. A Baltimore Sun article about the funeral for a Montgomery County Police Department officer that took place at a church and cemetery on the Baltimore County side listed the location as "Woodstock", while—several months later—an article in the real estate section of the same paper about housing on the Baltimore County side was titled "Granite". The name of a road that runs through both Woodstock and Granite is "Woodstock Road" only on the Howard County side; it loses this name as it enters Baltimore County, where it becomes "Old Court Road". Telephone lines for areas in Baltimore County that are close to the river have Ellicott City exchanges (750) from the Ellicott City central office. William Henry Gorman was born in Woodstock in 1843. He founded the Citizen's Bank of Laurel, Maryland and the Maryland and City Hotels in Annapolis, Maryland. Evan Oglesby (ex-Ravens player) lives near Woodstock. Wikimedia Commons has media related to Woodstock, Maryland. ^ a b c d "Zip Code Overview". Sperling's BestPlaces. Retrieved 2010-09-19. ^ Howard County Historical Society. Images of America Howard County. p. 41. ^ a b Barbara Feaga. Howard's Roads to the Past. p. 53. ^ "Our Mission." Woodmont Academy. February 6, 2001. Retrieved on February 2, 2018. This page was last edited on 27 February 2019, at 05:41 (UTC).